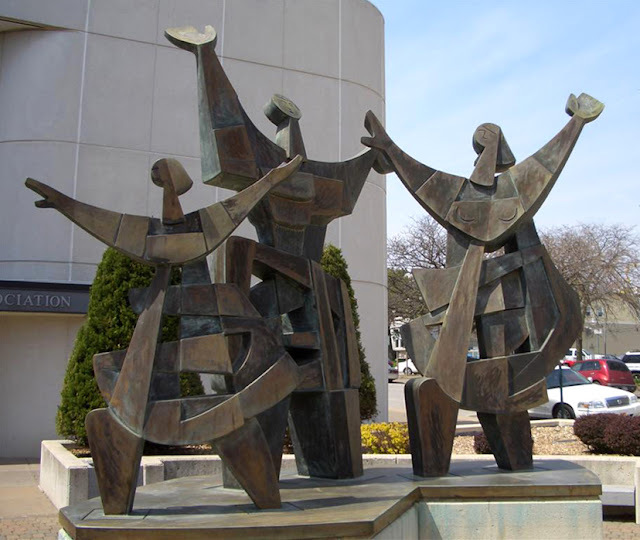 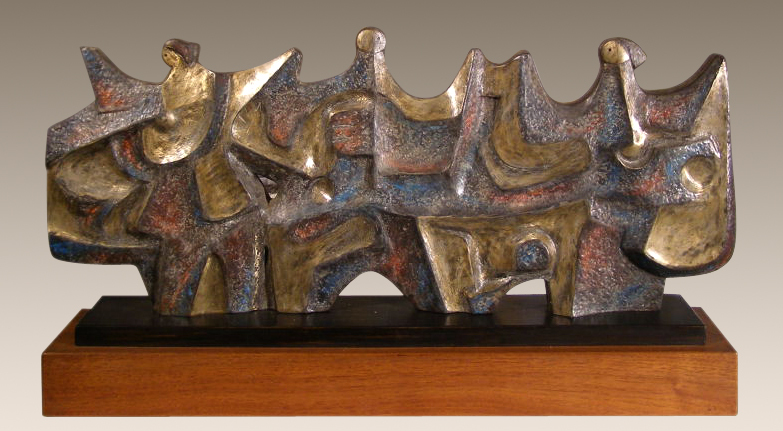 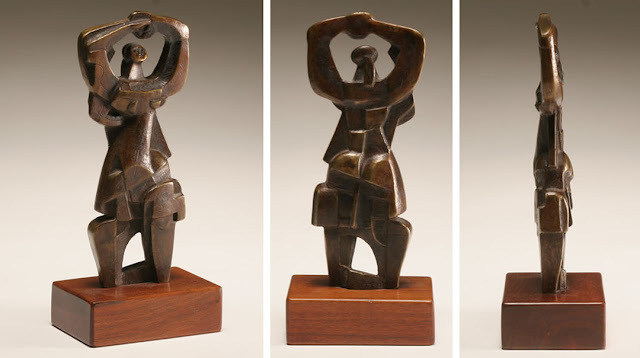 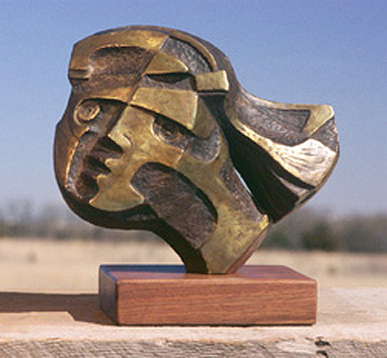 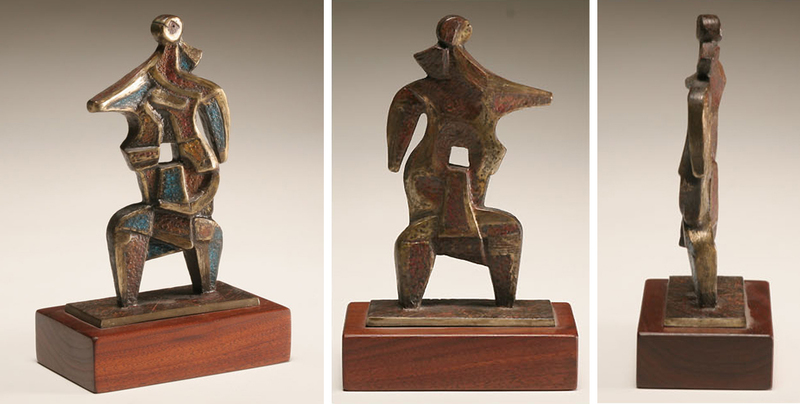 American sculptor Jim Bass crafts these cubist inspired bronze sculptures from his studio-foundry near Topeka, Kansas. 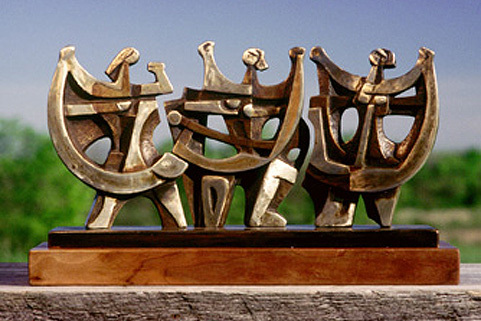 Over the last five decades Jim has produced several monumental works and small scale limited edition sculptures. 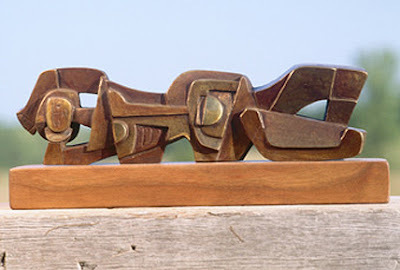 His larger "public" pieces are produced from welded red bronze and finished with various earth tones. The smaller scale sculptures, produced in editions of less than ten, are cast in a white bronze alloy to which color is often added. 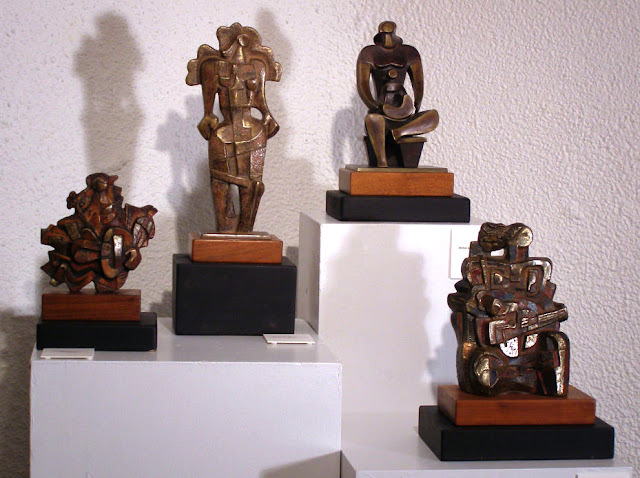 2009 Exhibition at the Community Art Gallery, Kansas City, MO. 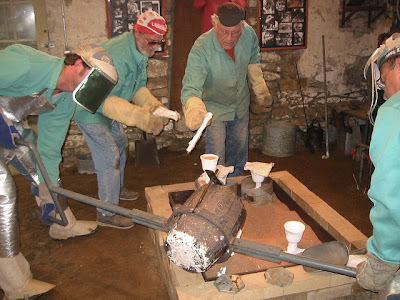 Left: Deburring the casting. Right: Polishing the bronze casting to highlight its qualities. 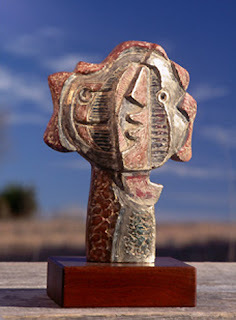 To see more of Jim's work check out his website here. 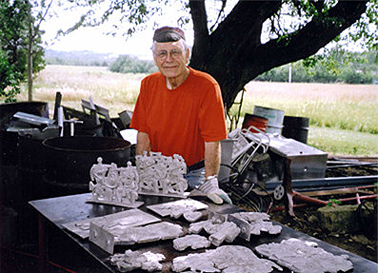 For more photos of Jim's foundry-studio have a look at this set on flickr. 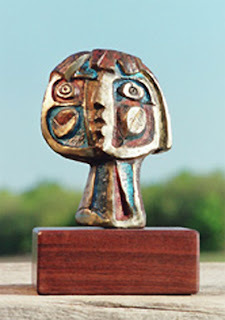 All images via Jim Bass' site except where noted.